One of the things that I haven’t really spoken about to the girls is the concept of Kiraman Khatibin – the ‘Honourable scribes’. In all honesty I never really thought to discuss it as the two Recording Angels only start the recording of bad deeds at the age of maturity. However it is important to introduce this at an early age so that children become aware that everything will be recorded which in turn will, in sha Allah, help make them mindful of their actions. The full colour illustrations throughout are sure to keep a child’s attention and I personally love the rhyming text style as it makes it a lovely book to read aloud. 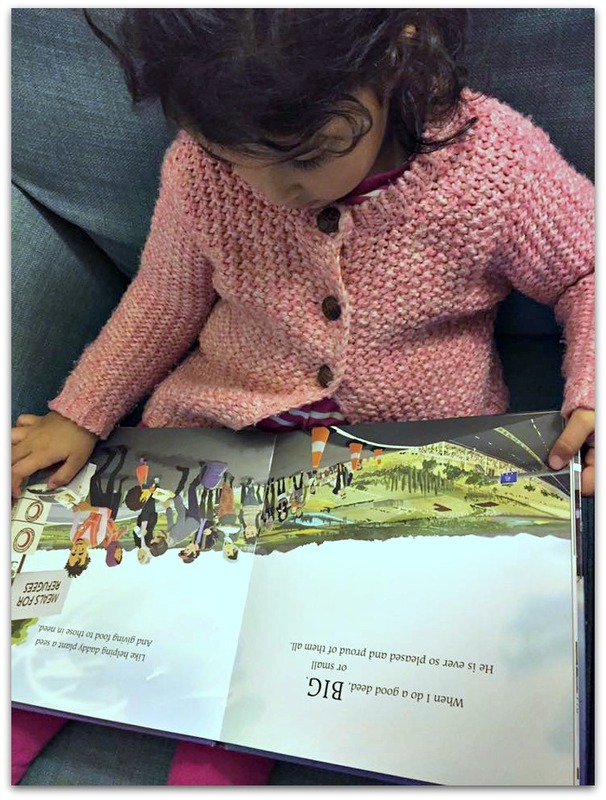 Bee enjoyed listening to the story and although the story is simple, it is a good starting point to discussing deeds and the recording of them. A lovely way to try to motivate our children to do good deeds. 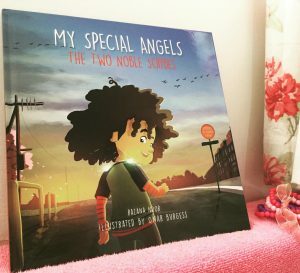 My Special Angels is a book that I am pleased to have as part of our Islamic book collection. Click on the video for a peek into the book. My Special Angels is available from Kube Publishing and if you enter the code“bloggers10” you can receive a 10% discount on all orders. Disclosure: We were sent a copy of the book for the purposes of review. However all thoughts and opinions are our own. The illustrations in the book look amazing! It seems like a great addition to our bookshelf. The illustrations are so beautiful. I love how cute it is and I will think of this when I have babies of my own to read with. 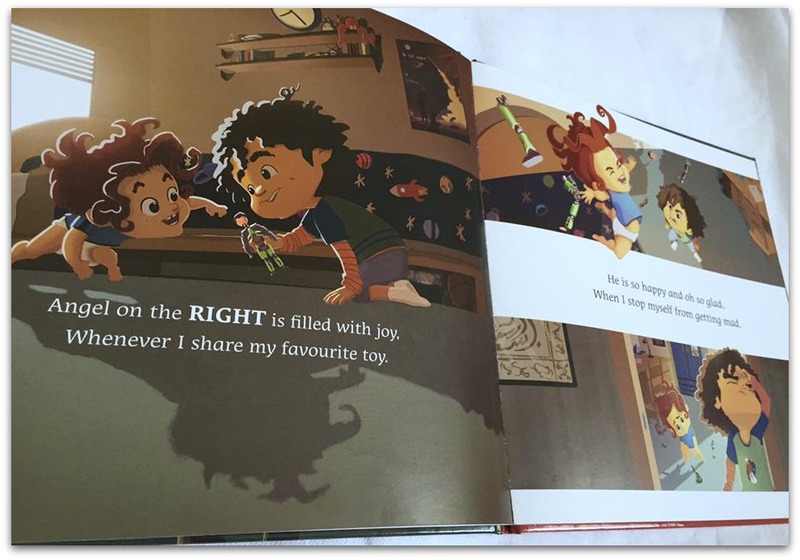 The illustration looks so colourful and appealing especially for young ones. Where were all these books when we were children?! It is such a uniquely to start teaching children about the two angels. Lovely review and I loved that video! Oooh I love the sound and look of this book. Would love to get my hands on it to read to my prekinders. Can’t wait for it to get here to my shores (if it will ever get here!). InshaAllah I will keep a look out for it. I remember when I was young my grandmother would tell us about our two recordning angels. And it does keep us in check to be aware of them. It’s never too early to explain this concept to children in simple terms. Absolutely agree with the comments above! The illustrations are gorgeous! These definitely appeal to the kids! 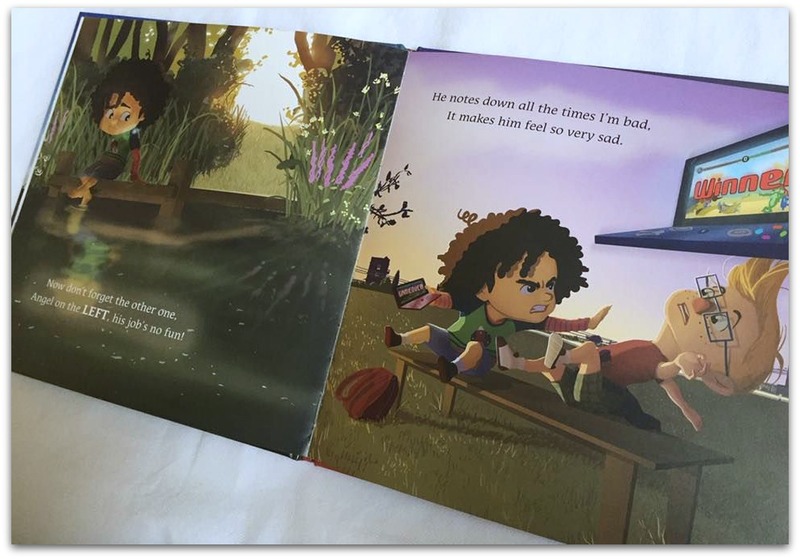 I am slowly introducing books to my son and he is loving them! Will definitely give this a try! He is going to love it! I absolutely adore this book so much so that I purchased one for my boys and a copy for my friend’s children and if that is not enough I’ve just ordered one for my cousins unborn child. The book explains the idea of good and bad deeds and each and every deed is recorded whether it be good deed or a bad one. I love the fact that it makes a child aware of it actions. Its a very simple book with great illustrations but a very powerful one. I actually use the book to remind my children when they are misbehaving about their angels and praise them when they do something good and remind them that their angel is writing their good deed which they will one day they will be rewarded for. It actually works better than a reward chart. I live this book and my boys enjoy listening to it.